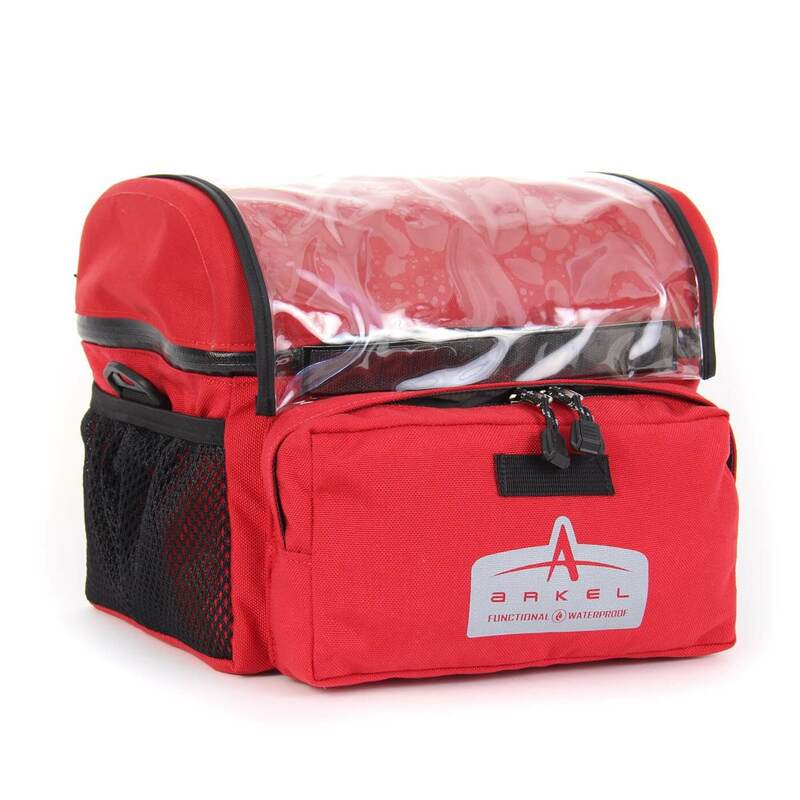 Our Dolphins are the most functional, durable, waterproof dry-bags on the market. The Dolphin 48s are large enough for expedition touring and double as excellent daily commuter workhorses. 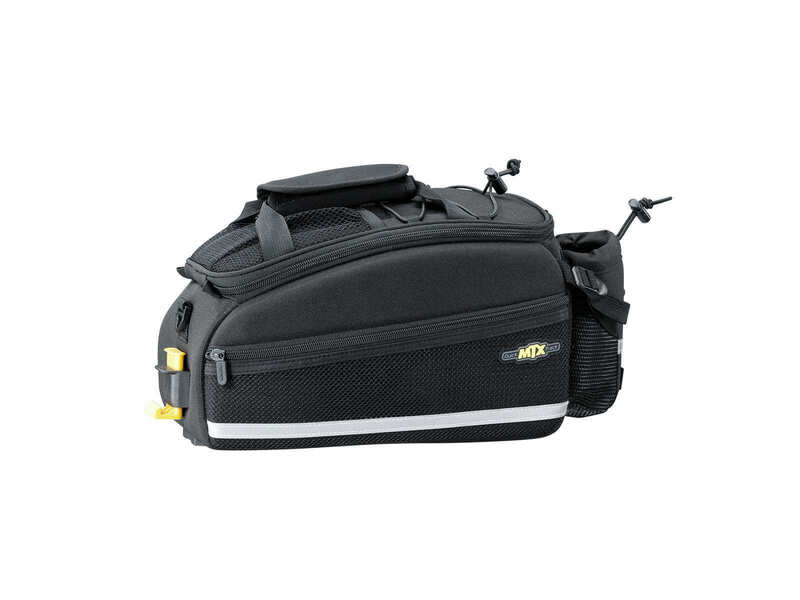 A toploader with sewn and taped seam technology that offers an Interloc® System that creates a watertight seal by folding the closures one over the other. Then it’s roll, clip and go. 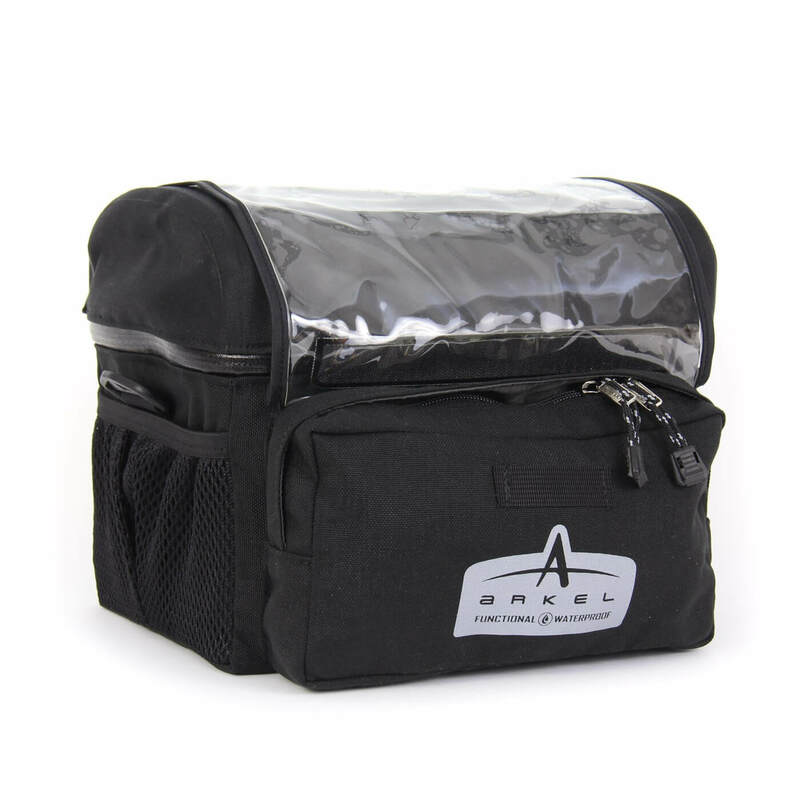 Two large completely independent waterproof compartments separated by an open access storage pouch that features small laser cut holes at the bottom for drainage – eliminating the need to store wet items inside the bag and doing away with water build up and condensation. 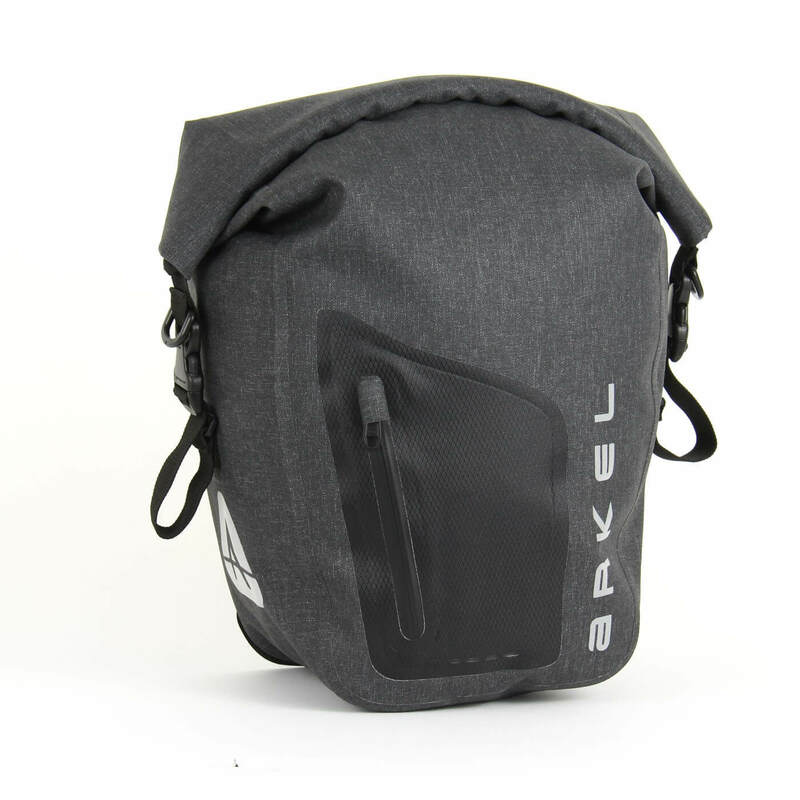 Two additional mesh side pockets for convenient quick access storage. Includes our patented Cam-Lock® mounting system – It won’t come off the bike until you want it to! 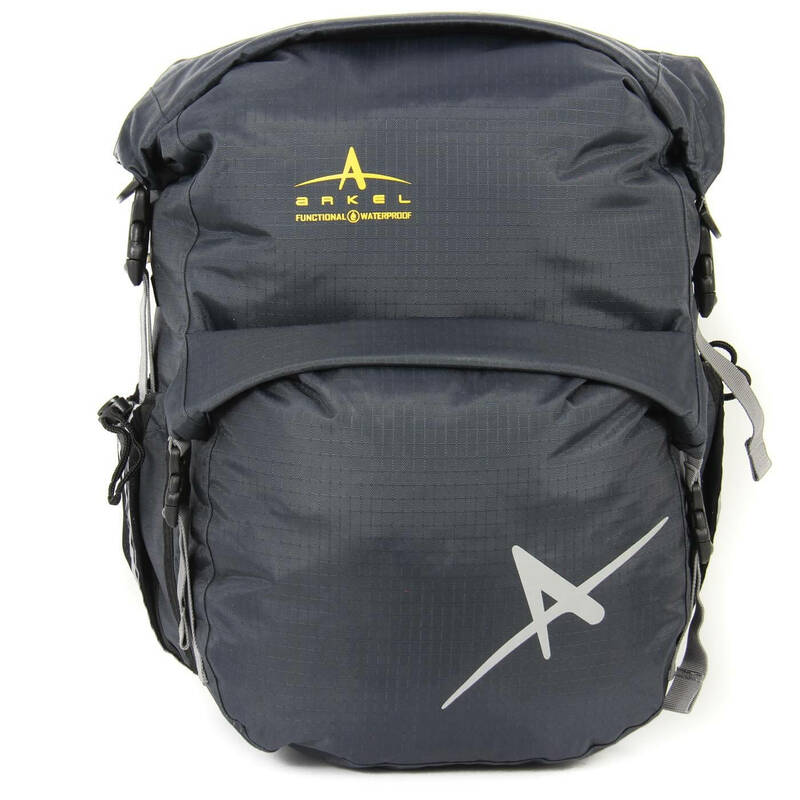 Superior accessibility and the best in dry-bag technology has finally arrived.